Rudreswar Deka of Darang district of Assam emerged the winner at Run Raise Respond NorthEast – a Half Marathon held here on the occasion of the Abhiruchi Sports Day. Amongst women, Bhanu Deka Bordoloi of Morigaon District emerged the winner. Pranab Kalita of Nalbari was the 1st runner-up at the run. Nigel Eastwood, a highly acclaimed technology investor and International entrepreneur with strong ties to the North East in association with The North East Development Foundation (NEDF), a leading not-for-profit organisation in North-East India commenced the first leg of 4 Half Marathons - Run Raise Respond NorthEast to raise funds to directly support local entrepreneurs and support flood relief activities in the North East. MNet, one of the North East’s leading telecom companies was the key sponsor of the run from Chandmari flyover to Srimanta Sankardev Kalakshetra. Eminent sports personality Bhaimon Hazarika flagged off the run. Besides Guwahati, the Half Marathons which will cover 3 more states in the North-East in the first leg viz. Shillong (6th September), Kohima (8th September) and Imphal (10th September). The organisation underpinning this run will be The North East Development Foundation (NEDF), a leading not-for-profit organisation in North-East India. At each location kiosks will be made available for start-ups to present their businesses to be considered for funding. The major proceeds from all the runs will be presented to the winning start-ups at the North East Start-up Festival being held by NEDF in November this year. The winning businesses at the Start-up Festival will receive a share of the funds raised and will be given free mentoring for 1 year by Nigel and the wider team. Nigel Eastwood had also undertaken a charity run on 17th October, 2015 from Katra to the famous religious shrine of Vaishno Devi popular amongst devotees across religions and countries. 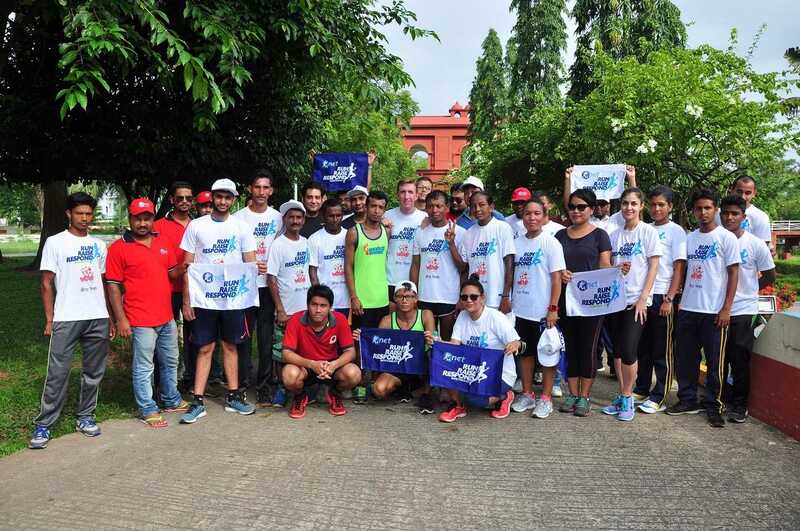 The proceeds of the charity run were donated to The Society for Promotion of Tribal Welfare and Development (SPTWD), a registered NGO which provides free education for underprivileged people in India.